This month we celebrated the ten year anniversary of Wild Apricot. It’s been a tremendous journey from the start. In the first few years I had many friends and fellow entrepreneurs express concerns whether we could make it in this market and build a long-term sustainable business. I have always believed that we would, even if it took a long time and a lot of effort (and it did!). We celebrated the event by taking a relaxing evening dinner cruise around Lake Ontario. I am very proud of what our team has achieved over ten years. We are now helping thousands of small organizations to fulfill their core purpose, through simplifying and automating their mundane (but critically important) core administrative functions. I believe Wild Apricot will still make an even bigger impact in this world. It’s my dream to help as many organizations as I can achieve their dreams and also to help the people on our team to keep growing and developing. These email templates come ready to use with beautiful images, stylized text, and clean layouts. Would you like the ability to receive membership and event payments by swiping a member’s credit card on your phone? If so, you’ll be excited to learn about one of our latest projects in development. 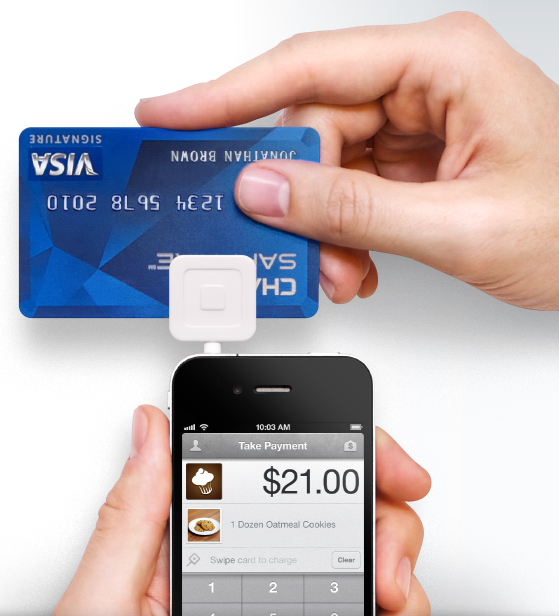 Our Mobile Crew is currently testing out the ability to receive payments on your phone using SquareUp. In fact, this feature was recommended by our users, who created the suggestion on our WishList Forum. If you qualify for these three things and you’re interested in beta-testing, please fill out this form. SquareUp does charge fees per use: 2.75% for swiped entries and 3.5% + 15 cents for manual entries. Wild Apricot does not charge any fees for the use of SquareUp. If you’d like to see what other features are in the works, take a look at our Product Roadmap. Not seeing the engagement you’d like on your social media channels? If so, we recommend watching the recording of the webinar we ran last week on this topic, hosted by Amy Sample Ward. Amy is the CEO of the Nonprofit Technology Enterprise Network (NTEN), and in her presentation, she shows you the unique—and simplified—approach she has used to grow NTEN into a leader in its space using social media. If you were affected by our downtime on July 4th, we’d like to apologize for any problems you might have experienced because of it. We'd also like to provide you with some more context on what happened and what we’re doing about it. On July 4th, from approximately 8:00 PM (ET) to 2:45 AM (ET), all Wild Apricot sites and services were unavailable. The reason this happened was due to a network issue from our internet service provider (ISP). We weren’t able to get everything up and running until our ISP was able to solve the problem on their end. One downfall on our part was that we were slow to react in updating you about what was going on. Minutes into the downtime, many of you tweeted, emailed, called and Facebooked us, however we did not post any status updates until approximately 1:00 AM (ET). This is a big failure on our part and we are working to develop a better process for updating all our channels as soon as we experience downtime so that you aren’t left in the dark. From the ISP side of things, we find outages such as the one you experienced unacceptable and have taken time to research other ISPs which we believe will meet our standards of reliability. We have chosen Amazon Web Services (AMS) as our new provider and have already begun migrating some of our assets over. This project will still take some time to complete, but I want to let you know that we are taking this situation very seriously. This is a brief update for everyone who’s been following along with our Solution Splitting project first mentioned in our March Newsletter this year. In short, the Solution Splitting projects will “split” the code that runs Wild Apricot into smaller, more manageable segments. This will make it easier for our developers to release new features faster. Stage 1 is well underway. As a reminder, Stage 1 entails everything that is visible to you (the public and admin sides of your accounts). So far 12,127 accounts (paid and free) have been moved over to the new code. The remaining 7,000 accounts (paid, free, and trials) are scheduled to be moved over in the coming month. One thing we didn’t quite expect was the amount of bugs we encountered through this process. We have identified over 70 bugs during Stage 1, about 30 of which were client reported (thank you!). Fixing these bugs has caused some delay in our progress, but no major concerns have arisen because of them and we are planning on implementing Stage 2 in September. Stage 2 entails switching over the “invisible” features of Wild Apricot that the public cannot see (Imports, Exports, Payments, Emailing, Public API, etc.). That's all for this month's update. Thanks for ten fantastic years! I can feel the love from the apricots! Communication is important to us too. Thanks for stating the need to let clients know what is happening involving service. Congratulations on 10 years, it's a milestone worth celebrating!!! Making it to the five-year milestone is always significant (since some statistics say 80% of all small businesses fail in the first five years), but making it to 10 years is HUGE! Especially in an industry like yours, where things change constantly, and new competitors (and apps) are always being developed to compete with you. Congratulations on the achievement -- and can't wait to see where you take us next on the journey!